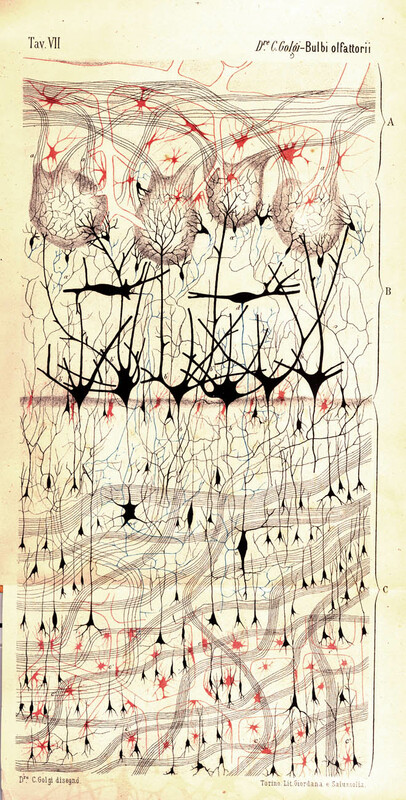 Drawing of a dog’s olfactory bulb by Italian physician and scientist Camillo Golgi. The features that appear here were revealed by the revolutionary method for staining nervous tissue that bears his name. Image: Camillo Golgi, 1875. Courtesy Dr. Paolo Mazzarello, University of Pavia, Department of Experimental Medicine, Section of General Pathology.